Pvt. 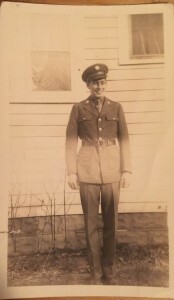 Leon W Stadt enlisted in the army at age 20 to serve his country during World War II. He was apart of the 113th Cavalry in charge of daily mail and forward operating HQ. During his time with the Cavalry, he earned four Bronze Stars and saw action from Normandy beaches to V-Day. Upon arriving home from the army, he returned to his job as a carpenter with his wife and four-year old son. Leon W Stadt enlisted at the age of approximately 20 on October 17, 1942. He was a private in the General Officers branch of selectees during World War 2. He lived in Kent County, Michigan . During the war, he operated a mobile forward headquarters within the 113th Calvary Regiment. His daily tasks were to write a morning “newsletter” for the soldiers and operate the radio for any calls to or from HQ. He also had to deal with mail distribution for the soldiers. Pvt. Stadt made it from the beaches of Normandy to the final push for the Eagles Nest. He received 4 bronze stars throughout the European Theater. The first action he saw was in St. Lo, France. He spoke about how they would attempt to camouflage their vehicles and tents whenever stopped. They would cover all of the equipment with netting to prevent Germans from easily locating their positions. One time, they had missed a spot in their netting or the Germans had forward operating scouts to clue the German Army to their location. While in the chow line, Stadt recalled hearing the whistle of the German 88s in the distance. He knew then the Germans had fired artillery at their position. Reacting as quickly as he could, he grabbed his buddy and dove into a tent near by. As they jumped into the tent, the shells began to hit. Luckily for them, the tent they jumped into had filing cabinets in them, preventing them from getting wounded by shrapnel. They then called in for air support on the German guns, which arrived as quickly as they could. After the air support had taken care of the German emplacement, they stepped back out of the tent to realize that a shell had hit right where they were standing prior to the shelling. The 113th Cavalry started its military career as Iowa National Guard Cavalry in July 1915. The regiment was the last of its kind to become fully mechanized in April 1942. Then on February 6, 1944, the 113th Cavalry Regiment was reconfigured into a group headquarters and two squadrons. The 113th Cavalry Reconnaissance Squadron and the 125th Cavalry Reconnaissance Squadron. They came to be known as the Red Horse Cavalry and saw a lot of action in Normandy, Northern France, Belgium, Holland and Germany. The reason they saw so much action was due to the fact that they were a fully mechanized reconnaissance regiment. This meant they were almost always spearheading enemy movement throughout the campaign. The squadrons were organized with three Calvary Troops, letter A to C. Each Troop contained “13 M8 Greyhound armored cars and jeeps, an Assault Gun Troop, E, with six M8 Scott HMC; a Light Tank Company, F, with 17 M5 Stuarts, later replaced with M24 Chaffee tanks; a Service Company; and an H&H Company” . This reorganization, though lacking, created a force to be reckoned with in the heat of battle. Before the beginning of WWII, horse cavalry was retired and replaced by mechanized cavalry. This caused a change in the original doctrine. Unlike the horse cavalry of the past, the mechanized cavalry matured into a specialized force. According to the new doctrine, its primary role was to be reconnaissance. This lead to many deliberating what the organization of the cavalry squadrons should be and what types of vehicles and troops should be included. Which eventually lead to the reorganization of the cavalry regiments. Unbeknownst to the powers that be, this role did not coincide with the actual needs of the battlefield in WWII. During the first contact with the enemy it became clear that there were many shortcomings in the mechanized cavalry doctrine. “At the tactical level doctrine focused exclusively on the reconnaissance mission, and did not recognize the importance of combat power to effective reconnaissance. Combat also demonstrated that in the absence of horse cavalry, mechanized cavalry could not specialize in reconnaissance. Combat revealed that mechanized cavalry must execute the traditional missions of horse cavalry. At the operational level, doctrine did not articulate the role cavalry played as an element of economy of force” . During the closing battles of WWII, the cavalry reconnaissance units reverted back to the traditional missions of cavalry. Though they were limited by the doctrine and the equipment they possessed, they saw great success and were a true asset to the European Theater. The entirety of the 113th landed on Omaha beach on D-Day. After the initial invasion and procurement of a forward operating HQ, the 113th grouped up with the 30th Infantry Division to move into Northern France. They saw their first real combat during the battle for St. Lo. It was the first time they experienced true concentrated shelling and counter attacks from the Germans after the invasion. After August 14, 1944 they began the famous “run to Paris”. Once in Paris they treated all the citizens to cigarettes, gum and candy. The received kisses, wine and champagne in return. By September 5th, they had spearheaded so far into France that they did not have any combat to support them. The main units at the time had no fuel to keep up because the 113th were given priority over fuel. This was due to the reconnaissance type missions they were assigned and the effectiveness of these types of missions for the rest of the US forces. Moving forward to September 9th they came upon resistance at the Meuse River at Liege. Using the fast moving “blitzkrieg” type tactics to overrun the Germans and allowed for the 30th Infantry Division to advance across the river and establish a bridge. The Northern France campaign ended on September 14, 1944 leading to the Rhineland Campaign to follow. The 125th then joined the 30th infantry division. With the information that the reconnaissance missions done by the 125th the 30th infantry division was able to offer accurate and concentrated artillery support for the continuing advancements. The Rhineland campgain ended on March 21, this marked the beginning of the Central Europe Campaign. The main goal of this campaign was to envelop the rural industrial complex that the German forces controlled. After doing so the 113th crossed The Rhine at Vesser on March 30, 1945. After this they made first contact with Russian Forces at the banks of the Alber River. During the totality of the European Theater they destroyed or captured more than 600 tanks, armored cars, enemy installations, supply depots, air fields and munitions factories. The regiment was in combat for 312 days and covered a distance of 800 miles from Normandy to east of the Elbe. In total, they destroyed or captured 600 enemy tanks, armored cars, half-tracks and vehicles. Also along the way they captured many factories, supply depots, and airfields. All of which severely impacted German infrastructure. On top of all these achievements the 113th also managed to capture 21,599 prisoners. Which Pvt. Stadt explained in further detail on how these prisoners were watched over. He mentioned, “at one point we had all the Germans in a open field, we stationed a few guys with brownings around the field to keep watch and even a tank or two.” It came to the point that the cavalry troops were so effective they had no way to watch over all the enemy troops that they forced to surrender. Overall, the impact that the 113th cavalry had on operations during the European Campaign were various but expansive. Leon was a part of a Division that spearheaded most operations during the European Campaign. When returning after the war he found no problem finding work and assimilating back into normal society. He still lives in a humble neighborhood surrounded by friends and family who visit often after the loss of his wife in 2015. He is always willing to share his experiences to those who will listen. Dimarco, Louis A. The U.S. Army’s Mechanized Calvary Doctrine in WWII. Diss. U.S. Army Command and General Staff College, 1981. Fort Leavenworth, 1995. 1-168. Stadt, Leon W. Private. Interview. Dec 2015. Sheads, B. (2014, September 3). 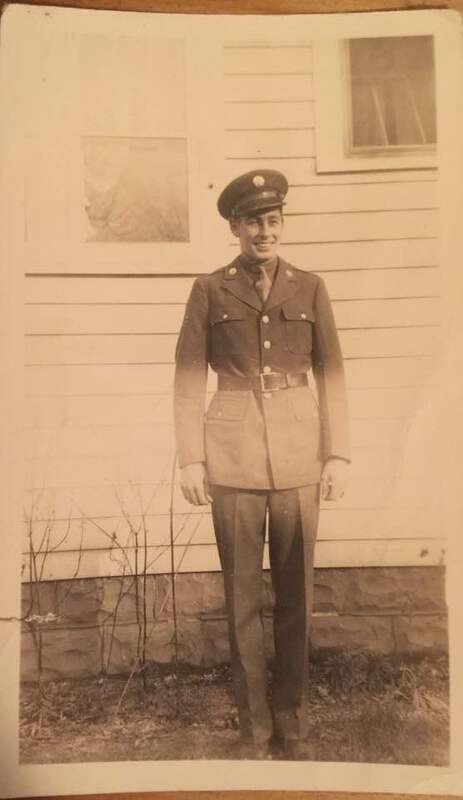 World War II 113th Cavalry Veteran Recalls Fighting to the End. Retrieved December 09, 2016. “113th Calvary Reconnaissance Squadron.” N.p., n.d. Web. 18 Nov. 2016. DiMarco, L. A. (2012). The American Mechanized Cavalry’s Critical Contribution to Allied Victory in Europe, 1944–1945. Global War Studies,9(2), 39-66. St-Lo: (7 July – 19 July 1944). (1946). Washington: Historical Division War Department. Vogels, F. (n.d.). The 113th Cavalry Group. Retrieved October 16, 2016.